Recombinational donor/master vector; spectinomycin resistance; recombinational cloning. pDONR223 contains several improvements over the original Donor vector pDONR201. 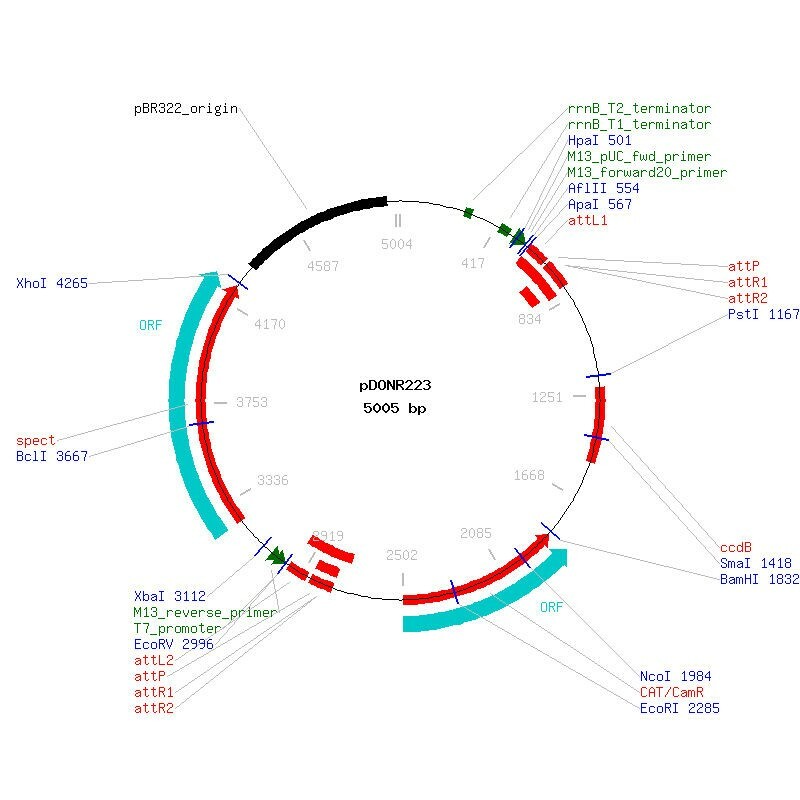 In pDONR223, the universal Forward (Fwd) and Reverse (Rev) sequencing primer sites flank the attP1 and attP2 recombination sites, the replication origin has been improved to increase copy number, and the selectable marker is spectinomycin resistance (instead of kanamycin resistance in pDONR201), which permits the use of either ampicillin or kanamycin resistance markers in Destination vectors.